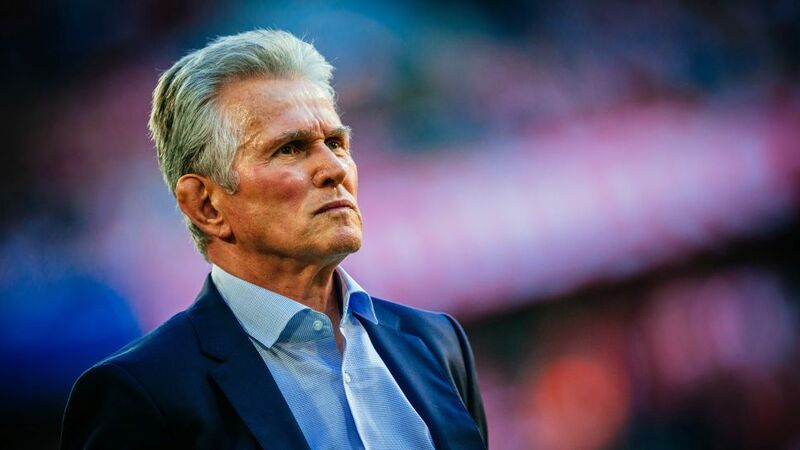 When it comes to winning the treble, Jupp Heynckes is the only man to talk to in German football. Having masterminded Bayern Munich’s unprecedented haul of Bundesliga, DFB Cup and UEFA Champions League in 2013, the 72-year-old has revealed five key points that could help the record champions repeat their historic feat in 2018. Speaking to German publication Sport Bild, Heynckes made it clear he believes Bayern still have some work to do if they want to regain European football’s highest honour for the first time in five years. “Being honest, we still have to improve,” said the veteran tactician. Elaborating on his plan for success, the 72-year-old laid out five key areas in which there can be no margin for error, if the club want to achieve that goal of European glory. For the Mönchengladbach native, the most important element in potential success, and especially in the Champions League, is having a full squad available to him. “Our players have to remain healthy and in the best physical condition,” Heynckes said. However, the Bundesliga champions have suffered a blow in recent weeks with the news that Kingsley Coman has undergone surgery on an ankle injury, which will keep him sidelined for several months. Furthermore, four-time World’s Best Goalkeeper Manuel Neuer has been out of action since September and is not due back until late in the season, and Thiago Alcantara has also only recently returned from a long-term injury lay-off. Easier said than done, as Bayern have discovered in recent years. Since lifting the Champions League trophy after victory over Borussia Dortmund at Wembley in 2013, the Bavarians have fallen at the semi-final stages three times in the quarter-finals once, to eventual winners Real Madrid last season. For Heynckes, it’s clear what’s needed: “The players have to be more motivated and show more passion.” Walking the walk, and not just talking the talk.